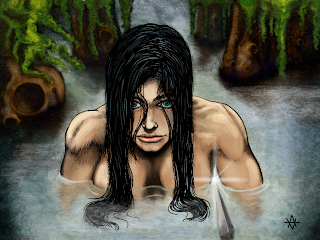 Yep, yet another attempt to emulate the awesomeness of real painting using only a tablet and photoshop. This time I was influenced by some awesome English artists, like Simon Bisley and Jim Murray. I didn't try to copy the way they draw figures (which is awesome) I jsut tried to emulate the awesome painterly look of their art. This is only a first attempt, but I learned a lot. I'm pretty sure they paint "up" from a dark base, then add highlights, then try to push the value back a little. I really like the light spatter of colors that get thrown onto really dark areas to "haze" them up a little. I also, had to use a bunch of color theory to know what color to spatter where. I'm going to try a few more and post em up here. 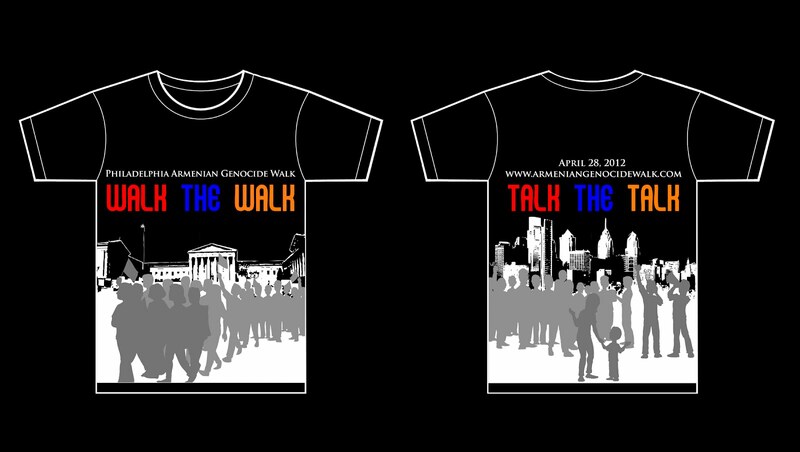 I helped out a friend who was on the Genocide walk committee with some designs for their shirt this year. Every year, this organization walks down the Ben Franklin Parkway in Philadelphia to remember and raise awareness about the Ottoman genocide of Armenians in 1915. This event is not taught in high school history and is denied to this day by the current Turkish government. The US government doesn't recognize it either. I think the old Armenians and their progeny would like some type of recognition. 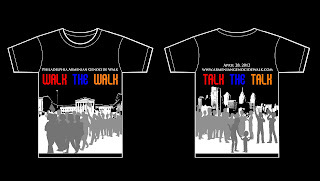 I think the walk is a cool way to raise awareness. Armenians cultural identity is in their community and besides going to church this is one way for them to get together. After the walk they have a speaker and a traditional dance troupe preform. Another cool point is that the committee in charge of organizing everything (the people I worked with on the design) were all young and involved. It is good to see that there will be people to keep the culture alive throughout the generations.